Hello friends! 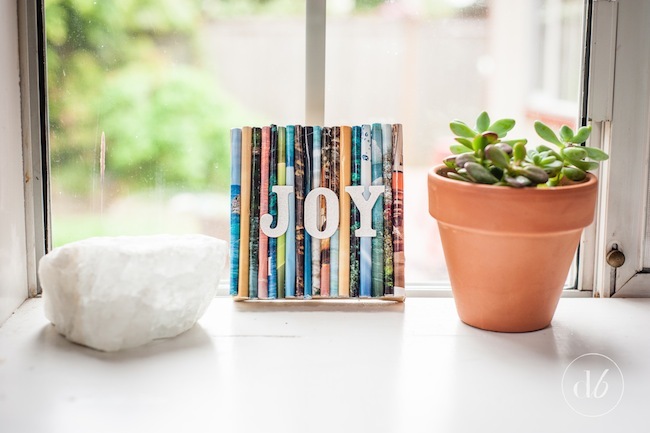 It’s Erica again, from Dwell Beautiful. 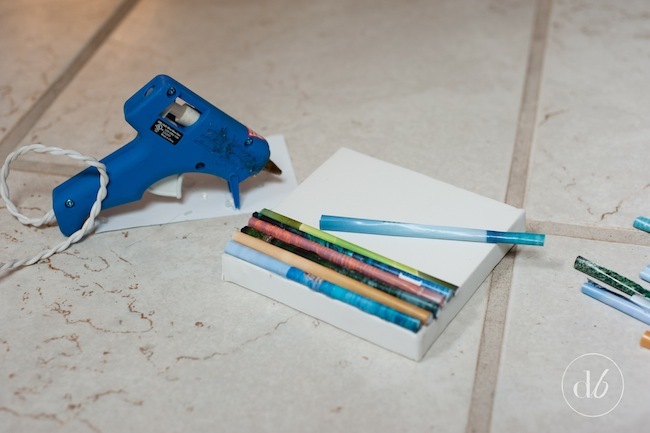 It’s 3rd Thursday of the month and that means it’s time for another fun, easy, colorful craft tutorial! 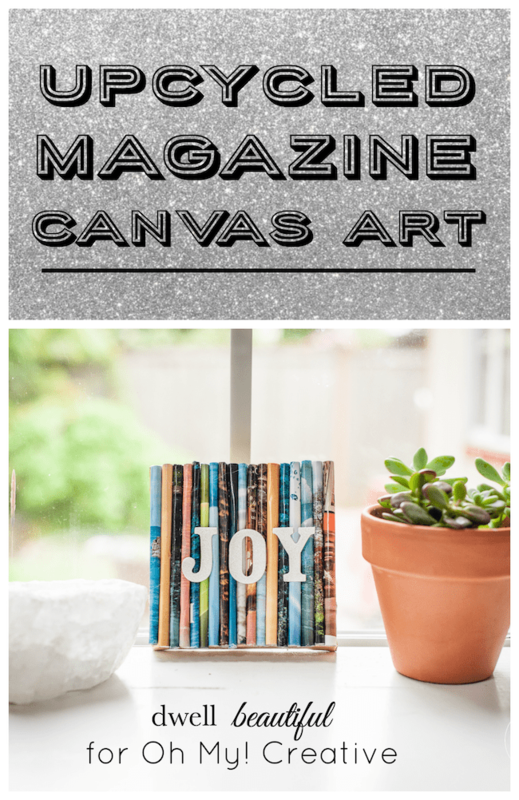 This month I’m showing you how to make some super easy upcycled magazine art. 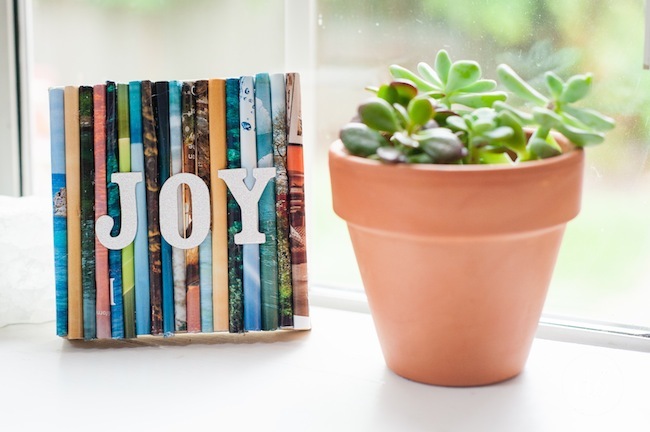 Get rid of those old magazines and turn them into some fun decor for you home! 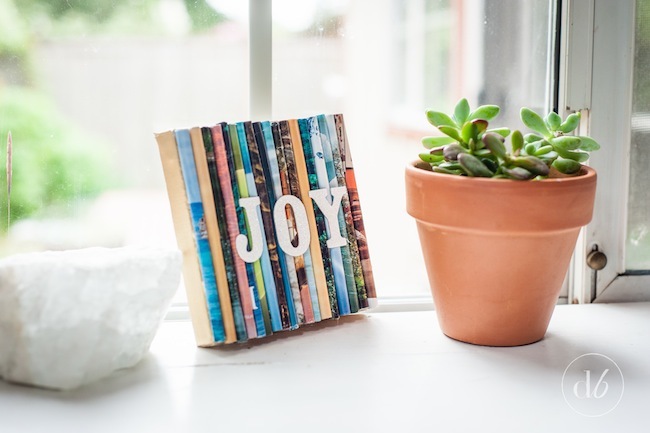 This is a SUPER easy project and is a great one to do when you are binge-watching your favorite TV show. (For me that has been Arrested Development!). If you have a lot of magzines lying around and love bright, fun, colorful art, then this is the project for you! 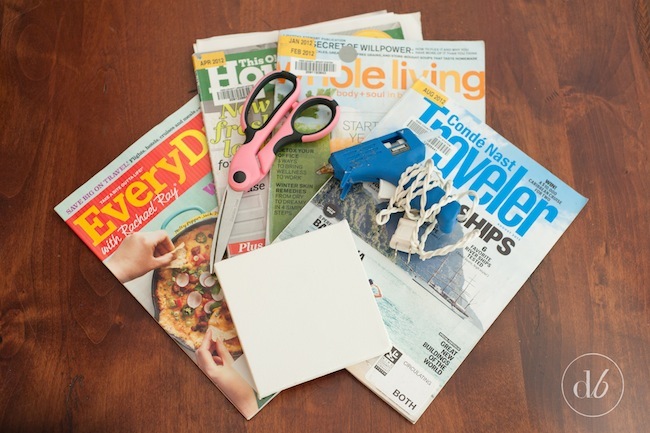 Go through your magazines and tear out pages that have bright, bold colors. 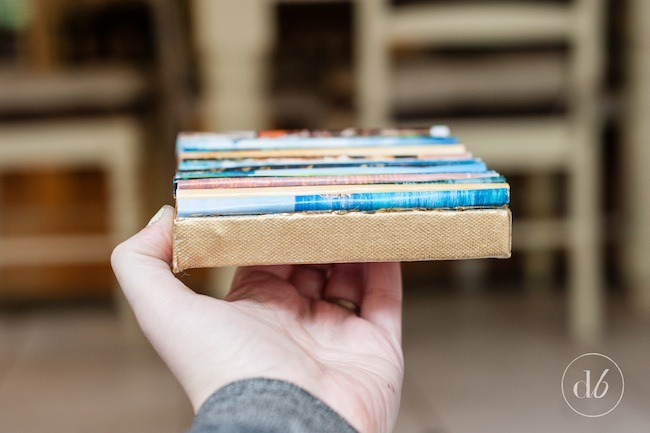 I went for a pretty mixed palette, but if you have a specific color scheme in mind, like blues or sunny colors, feel free to only tear out those kinds of pages. 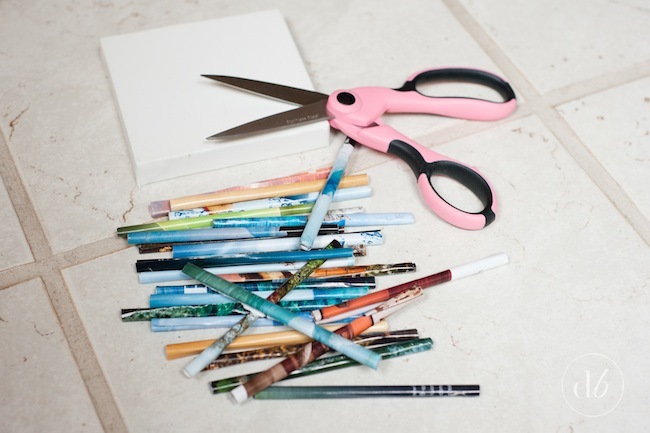 Cut your paper tubes to fit the length and width of your canvas with some scissors. If you want to get crazy you can cut them even smaller and make a sort of mosaic look, but I decided to just do straight rows. It’s completely up to you! I thought my edges looked a little raw and unfinished, so I decided to color them in with my gold leaf paint pen for a fun metallic pop of interest. 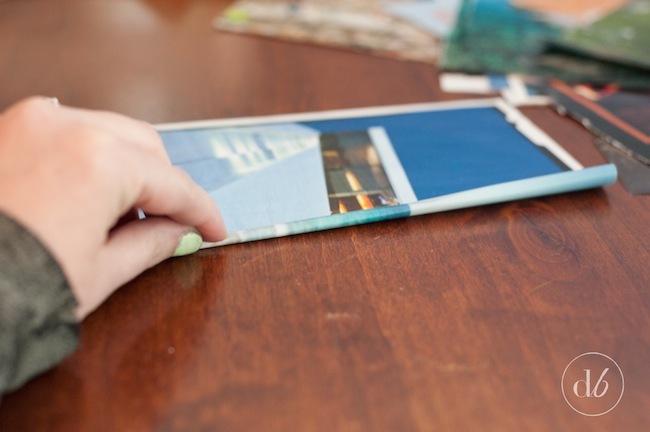 However, you could also cover the edges in glitter, paint, or even glue more magazine tubes to the sides! 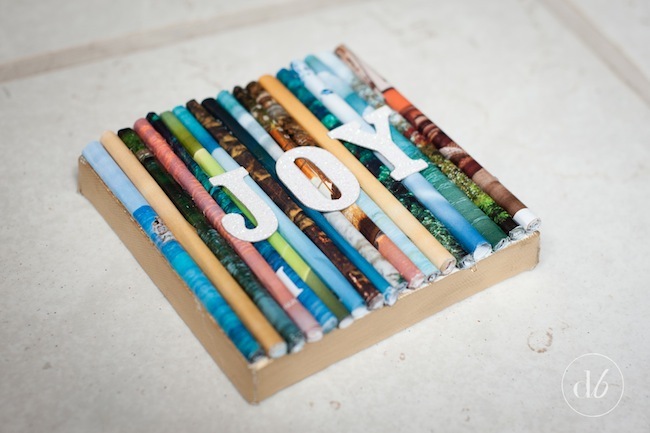 To add a final piece of fun, I took some sparkly chipboard letters and spelled out the word ‘JOY’ on my magazine art. I think that it’s the perfect finishing touch to this piece! I wanted to spell ‘ADVENTURE’, but I was running low on letters. C’est la vie! 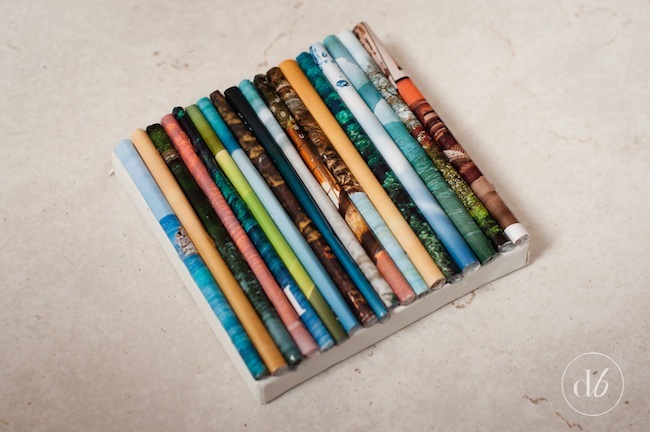 I think this little piece of magazine art would be perfect in a kid’s room or in a crafting space. 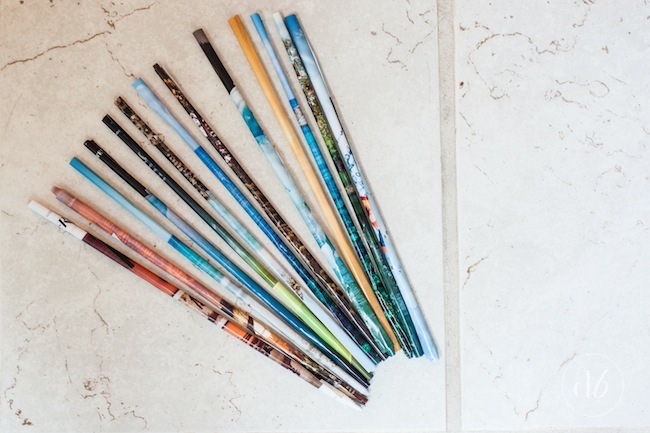 The colors and textures are just too fun to resist and the possibilities for customization are endless! Someday I’d love to try this on a BIG scale and do a giant canvas. How fun would that be?? Thanks again to Susan for having me along and I’ll see you again next month! SUCH a cute idea! SO creative!!! Love it! Oh my goodness, this looks like fun! 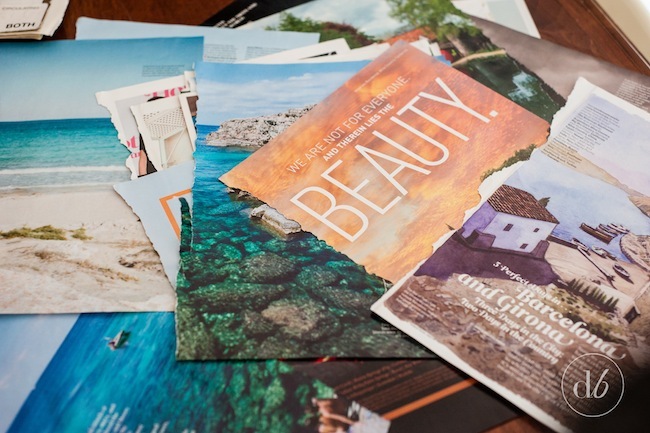 There’s something about tearing up magazines that has always appealed to me…I think it hearkens me back to the days of making collages in grade school 🙂 Thanks for the great idea.